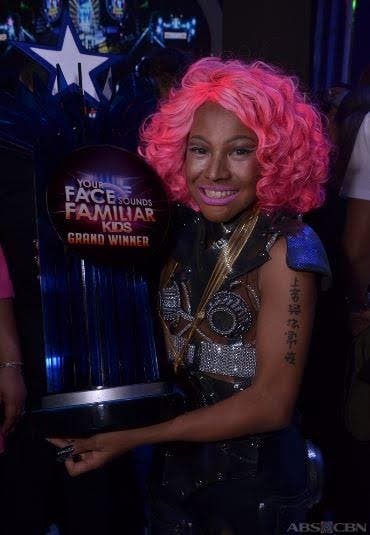 Meanwhile, viewers tuned in to the two-night grand showdown as “Your Face Sounds Familiar Kids” scored high in nationwide ratings last weekend, according to data from Kantar Media. The program hit a national TV rating of 35.3%, beating “Pepito Manaloto: Ang Tunay na Kwento’s” 18.1% last Saturday (Apr 8). “Your Face Kids” also recorded 38.3%, or almost double than “Tsuperhero’s” 14.7% last Sunday (Apr 9). The grand showdown was also a hit among netizens as the show’s official hashtags #YFSFGrandShowdown and #YFSFGrandWinner topped the list of trending topics on Twitter.